A new mayor took his seat in Jerusalem this week, and the split in the once-impenetrable “black wall” of haredi (ultra-Orthodox) unity in the holy city suggests he will have to navigate carefully among competing factions. As the votes came in on election night last month, it seemed that young, secular activist Ofer Berkovitch might achieve the nearly impossible and become Jerusalem’s next mayor, only to succumb by the end to Moshe Lion. Lion, a religiously observant accountant who moved to Jerusalem from the Tel Aviv suburb of Givatayim before his previous bid for mayor five years ago, is seen by many as little more than a puppet in the hands of national politicians. The fact that there was tension at all was a surprise. 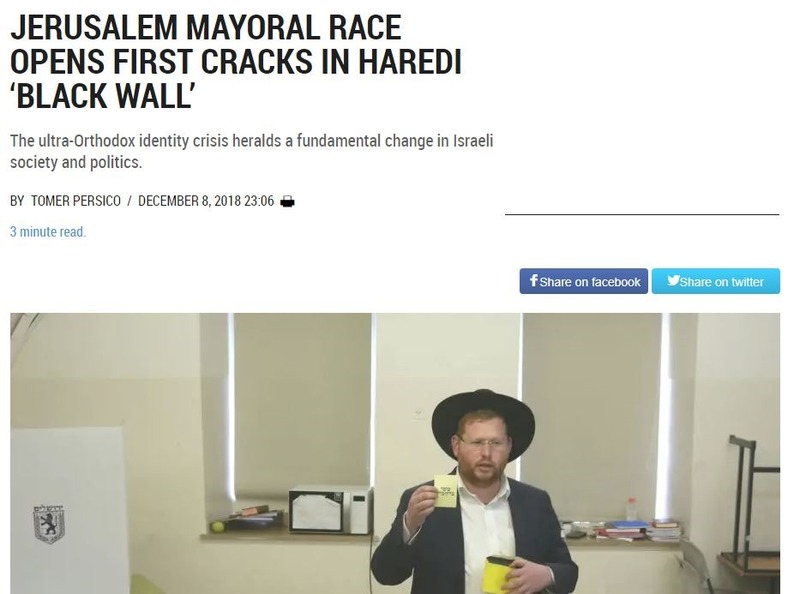 In a city in which the Arab population does not vote, in which 35% of Jewish voters are ultra-Orthodox, and in which only 20% are secular, Berkovitch’s loss by a mere 3,765 votes out of more than 200,000 cast, was clear testament to the split within the city’s haredi camp. The split itself testifies to broader developments. Significant transformations are unfolding in ultra-Orthodox society and identity. Not that there was ever unity among haredim. The “Lithuanian,” hassidic, and Sephardi streams are the contemporary heirs to the piously anti-modern forms of Judaism that crystalized in the 19th century. They have had more than their share of infighting in recent years. The current crisis, however, presents an unprecedented reality on two counts. The first is the cavernous vacuum of leadership. Over the last five years, the Sephardi and Lithuanian communities both lost their respective “greats.” Death is as certain as taxes, but what’s extraordinary about these departures is that the leaders were not replaced. There were attempts in both cases to declare new great rabbis, but they failed to mobilize public support and remained titular figures. The second point augments the first. Ultra-Orthodox Jews in Israel are becoming more open to the country’s general culture than ever. Embracing such values as autonomy, equality, economic betterment, nationalism, and feminism, they are letting go of their traditional, anti-modern positions. As resistance to modernity plays such a substantial role in haredi identity, this means that their identity is changing dramatically. Haredim are becoming more Israeli. Becoming more Israeli, however, means becoming less ultra-Orthodox. As a fundamentalist, holistic identity, the haredi self cannot allow itself to be divided between competing narratives of value and meaning. Indeed, compartmentalizing our professional, ethnic and religious elements is a principal characteristic of a modern secular persona. Most haredim are hanging on to their traditional identity, but a growing number aren’t, and this split is along generational lines. The further this proceeds, the greater effect it will have on Israeli society and politics. The reasons the ultra-Orthodox wield political power beyond their 10% of the population is that have acted in unison, and cut across political fault lines, neither identifying with the Left nor the Right, and thus have been able to enter into coalitions with both. The election in Jerusalem was only the most significant sign that the long-term coordination among haredim has shattered. With the ultra-Orthodox becoming more involved in general culture, they are also becoming more identified with specific parts of it. If they identify clearly as right wing, which is generally the case, the chances they would cooperate in coalition with the left wing is diminished. Such developments will have significant consequences. The Israeli right wing will have greater political power, but the ultra-Orthodox themselves will have less. This will go further in unraveling the borders between their communities and the general public built with government funds and legal privileges. That in turn will accelerate the process. We will witness increasing secularization within haredi communities. They will become more democratic and egalitarian, but there will also be attempts to color the Israeli public sphere as more traditional. The ultra-Orthodox identity crisis heralds a fundamental change in Israeli society and politics. During the municipal elections in Jerusalem, it came close to a surprising tilt of the scales. Lion may be the first to feel the impact of the haredi split. But the role that split will play in Israel’s next general elections could prove consequential. Western political thought shifted sharply in the last decade. Many in the right-wing adopted stances, values, and concepts that belonged in the past to the Left. This shift has multiple dimensions and expressions. It includes, among others, the acceptance, either gladly or out of a bitter capitulation, of the legitimacy of homosexuality and equal rights for the LGBTQ community. It includes all but deserting the “war on drugs” and even adopting the claim to legalization of cannabis. It further includes the strengthening of certain trends that had already begun, such as abandoning organized religion and incorporating liberal feminism. Despite these developments, which have in common an intensifying focus on the rights and freedoms of the individual, there also developed a more complex right-wing movement. This movement both accompanies the mainstream right and subverts it. It is a movement that embraces the strong individualism that the right now exhibits, but undermines the humanism that traditionally comes with it. Such is the new, radical right that in part is called “alt-right.” This movement, which claimed notoriety after Donald Trump’s election, began its life on the web long before its practical expressions were seen, and Trump became its celebrated champion. This right wing has also adopted a leftist ethos, though it engages in it in a different, partial, and destructive way. Smotrich presented the Book of Joshua as the source for his remarks. According to the Midrash, Joshua sent the residents of the land of Canaan three letters in which he set out the three aforementioned conditions. Maimonides explains that if the non-Jews do not flee, they must have limitations imposed on them “so they should be despised and lowly, and not raise their heads in Israel.” If they resist, he says, “not a soul must be left among them” – in other words, kill them all. 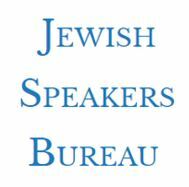 How many of those who sat and listened to these horrible things – learned men and women, Torah scholars and community leaders – agreed with him? It’s impossible to know. There were protests raised during the question period, in which some of those in attendance expressed shock. But not everyone was shocked. I thought back to the op-ed by Yossi Klein last month that raised such a storm. Does “religious Zionism” want to “seize control of the state and cleanse it of Arabs,” as he wrote? No, definitely not. Are there people in that community who indeed want to do this? Yes, absolutely. The question is how numerous they are, or, in other words, where to place Smotrich. Is he on the margins, part of an extremist, fundamentalist and zealous minority, who isn’t taken too seriously – or in the center, a future leader of a large public? One of the characteristics of fundamentalist religiosity is the reduction of religious tradition into a rigid and simplistic framework of principles. It’s generally joined by a monolithic perception of history, as if all eras are identical and what was true 2,000 years ago is still valid today, and a strong desire to renew our days as of old, i.e., to bring the past into the present. All these together create a one-dimensional surrender to the authority of Scripture. This is generally done in a very untraditional manner, since fundamentalist obedience hews closely to the literal meaning of the text, while traditional religiosity recognizes that religious truth is complex (“There are 70 faces to the Torah”), provides interpretations of Scripture, and integrates other considerations into its approach to faith. Religious Zionism is not fundamentalist. Most of the community leads a traditional religious life of interpretation and flexibility. Most live in the center of the country, in Jerusalem and Petah Tikva, Kfar Sava and Ra’anana. We’re talking about a middle-class, solid, bourgeois, satisfied community. Judaism for them is a deep identity and a way of life, but they don’t dream at night about rebuilding the Temple and they are pleased to live in a democracy. But Smotrich understood something when he spoke with this community’s representatives. Because he was speaking to a totally observant audience, he allowed himself to expose the religious-mythic underpinnings of his ideas. He hoped that speaking about Jewish law and the Book of Joshua would lead to an automatic identification with his remarks that would be reinforced by the dormant foundations of a deeply rooted tradition. He hoped that his religious language would make his ideas much harder to oppose. Unfortunately, that hope is not unfounded. Democracy, like liberalism, is an ethos. Religious tradition, like nationalism, is the foundation of identity and narrative perception. In a contest between them, it’s very difficult for the former to triumph. If during the 20th century Western nationalism substantively included democracy and liberalism (and thus also moderated religion), in recent decades there’s been a gap emerging between them. As we can see from the refugee crisis in Europe and the Brexit vote, when the masses feel that liberalism is undermining the foundations of nationalism, the response is to boost nationalism at the expense of liberalism. Narrative and identity trump ethos. 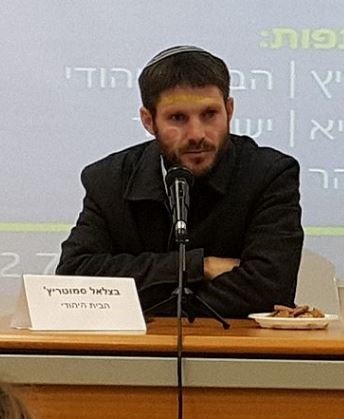 Certain people in the religious-Zionist camp, Smotrich among them, turn to Jewish identity and use a mythic narrative to enlist support for anti-liberal ideas. In a situation in which liberalism is perceived as opposing identity, or in a situation in which there is no answer defending liberalism that’s based on identity, they will succeed in drawing many after them, first and foremost those who are deeply connected to tradition. Only a position that emerges from one’s identity toward liberalism, that reunites nationalism and liberalism (and even religion and democracy), can prevent many religious Zionists and others from being drawn to the insane ideas of Smotrich and his ilk. The fact that Smotrich is a dangerous fundamentalist who seeks to give the Palestinians a choice between transfer, apartheid or genocide is horrifying. It’s hard to complain to the Palestinian Authority about their encouragement of terror when the deputy Knesset speaker of the State of Israel supports this type of “subjugation plan.” He should be removed from his post and thrown out of the Knesset. But even if this were to happen, the important question is what kind of response we, the religious and secular Zionists, proffer to his ideas. Until there is such an answer, he will continue to move from the margins to the center.